These White standard address Labels are general purpose labels for envelopes, packages, file folders and countless other uses. 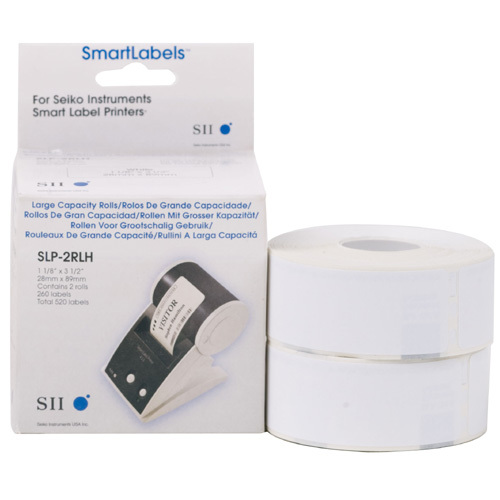 Seiko Instruments SmartLabels are available in a variety of sizes, types and styles so you can label just about anything! There are labels for floppy disks, video cassettes, name tags, 35mm slides, and more.